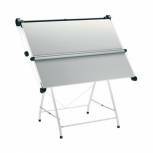 Vistaplan A0 Compactable Drawing Board with Stand E07995 Pack of 1 A0 Melamine Drawing Board supplied complete with a sturdy powder coated tubular stand which can be folded away to save space. Parallel motion included. Vistaplan A1 Compactable Drawing Board with Stand E08023 Pack of 1 A1 Melamine Drawing Board supplied complete with a sturdy powder coated tubular stand which can be folded away to save space. Parallel motion included. 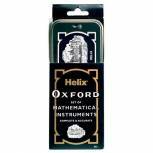 Helix Oxford Maths Set In Tin B43000 Pack of 5 Helix Oxford Maths Set. 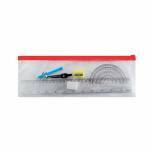 Traditional design tin box containing metal self-centring compass and pencil, eraser, sharpener, 15cm/150mm rule, 45 and 60 degree set square, 180 degree protractor, 10mm lettering stencil and timetable/fact sheet. 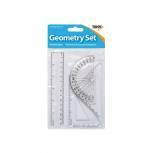 Helix Black/Silver Metal Compass And Pencil (Pack of 10) G05070 Pack of 1 Helix Metal Compass and Pencil. 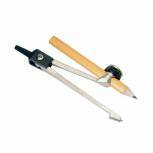 Self-centering bow top compass with metal safety point and cam-lock for secure pencil retaining. 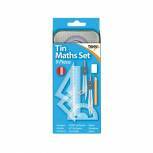 Helix Maths Set (Pack of 12) A54000 Pack of 12 Helix maths set includes, 15cm ruler 45 and 60 degree set squares, 180 degree protractor, self centering compass, 9cm pencil, sharpener, eraser. 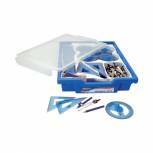 Helix Geometry Class Set Q99040 Pack of 1 Ideal classroom resource for geometry lessons. Allows for up to 30 students to participate. 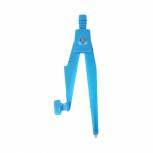 Includes 30 each of: Shatter Resistant 30cm Rule, Metal Safety Compass. 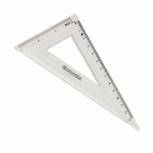 Angle Measure, 9cm Pencil, 13cm/60¬ Set Square and 10cm/45¬ Set Square. 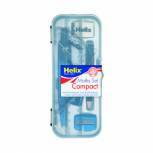 Helix Safety Compass Assorted (Pack of 25) G03040 Pack of 25 This Helix safety compass is self centring and comes with a unique safety point. The modern design features a large easy grip and a bow top. 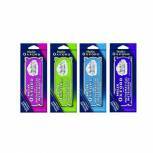 It comes in a pack of 25 in three assorted colours. 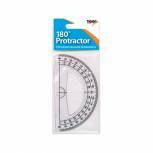 Helix 10cm 180 Degree Protractor Clear (Pack of 50) H02040 Pack of 50 Helix 10cm 180 Degree Protractor Clear Pack of 50 H02040. 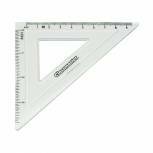 Ideal for geometry, design and drafting. 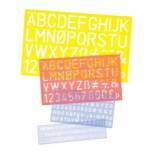 Constructed from clear plastic. 180 degrees. 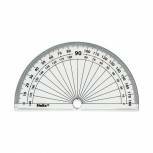 Clockwise and anti-clockwise degree scale. Markings to 1 degree, numbered every 10 degrees. 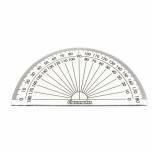 Diameter: 10cm. Helix Metal Compass (Pack of 10) G07040 Pack of 10 Helix Metal Compass and Pencil. 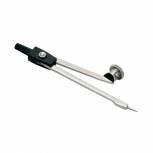 Self-centering compass with cam-lock for secure pencil retaining. 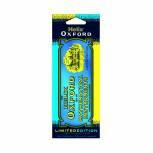 Shortened safety point avoids injuries.